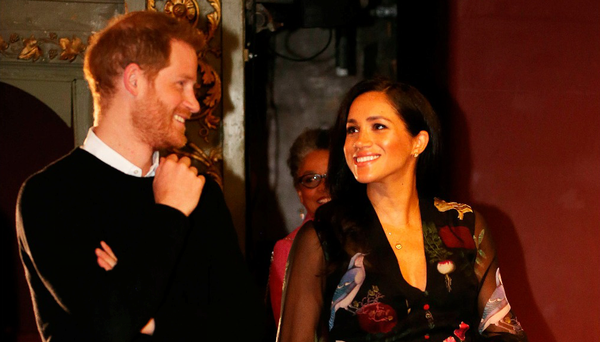 A right royal amount of sneering has accompanied the news that Meghan Markle will have a doula at the birth of her first child. How very ‘new age’, how very ‘LA’, how very ‘Meghan’. Well, how very marvellous actually. Research shows that having a doula (a Greek word that roughly translates to someone to support mum) can have a hugely positive impact in a delivery room. Sadly it’s a fact that many women can feel side-lined in the birth process. These aren’t women who think they know better than the professionals, they’re not ‘birthzillas’, they’re not people who are putting their needs ahead of their baby’s. They’re women who just want to feel continuity of care, listened to and minded. With a well-documented crisis in staffing levels in hospitals, that extra TLC that you need when you’re naked from the waist down and about to expel a watermelon from your uterus isn’t always on hand. Enter the doula. After a difficult first birth, I decided to employ the services of Dr Krysia Lynch, aka Dublin Doula, for my second child. Doulas aren’t medical personnel, they’re not there to replace the midwife in any way, but given Krysia’s background as chair of AIMS in Ireland, and knowing her to have supported hundreds of births, I felt confident she had a good idea what was supposed to happen. During antenatal visits she helped me jot down my birth preferences. ‘Pah,’ I scoffed when she suggested putting down requests to facilitate skin to skin in the event of a C-section. My first baby had come out the traditional route and I was sure my second would follow suit. How glad was I when I heard the midwife reference my preferences as I was being wheeled away for surgery… Just one of the reasons why all the ‘new age’ tittering around Meghan’s doula is so galling. There seems to be a belief that doulas are some sort of shaman, hell bent on natural births and using their spirit sticks to block the anaesthetist from the door. At the very least it’s assumed they’ll make you eat your placenta. It’s simply not true. Doulas are there to support mums – and dads – in all kinds of births. When a second induction made it clear my hopes of a water birth (along with the vast majority of my birth preferences) were draining away, Krysia was great, running around getting me yoga mats, medicine balls and gently glowing salt lamps, a world away from lying on my back under bright fluorescent lights. Through breathing techniques and visualization, she helped me get to 8cm dilation without pain relief. Then knackered (I’d waited 12 hours in hospital to get a bed for my induction, during which time my doula was with me, leaving my husband able to come in fresh and useful when things actually kicked off) and a little a-feared of the looming pushing portion of the evening, I requested an epidural and she backed me. When I could feel what turned out to be nearly 11lbs of baby stuck and his head failing to descend, she backed me when I requested a c-section. She wasn’t trying to fulfil any personal agenda; she was there for me. And she didn’t try and make me eat my placenta afterwards. In Ireland, a doula will cost around €1000. Krysia also came with a ‘back-up’ doula (the lovely Leemore from Holistic Nurture in Blanchardstown village) who, in the highly unlikely event that Krysia was MIA, would rush to my aid. Both women also offer post-partum doula services, helping with the needs of the new family has such as establishing breastfeeding. According to Mary Tighe, the co-owner of DoulaCare Ireland, a national doula agency, there has been a huge increase in the number of doulas being hired in Ireland but there’s little in the way of regulation. “Which was one of the reasons why we set up DoulaCare two years ago,” she explains. “We assess all our doulas, they’re garda vetted and expected to do three trainings a year.” The voluntary Doula Association of Ireland also hosts listings. In the UK, there’s some demand for less expensive, student doulas but it’s not something that’s popular here. “I’d encourage parents to look for a connection with their doula, rather than basing their decision on price alone,” says Tracy Donegan of GentleBirth Ireland. A grand isn’t cheap (well unless you’re Meghan obviously) but in the world of designer baby travel systems and whatnot, it’s really not a lot to pay given what you’re investing in. The whole process of having a baby goes best when mums feel safe, secure and listened to. Something a doula can help make happen. That’s definitely nothing to sneer at.